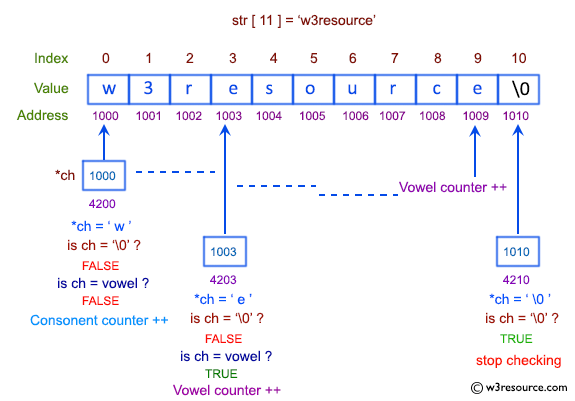 Write a program in C to count the number of vowels and consonants in a string using a pointer. 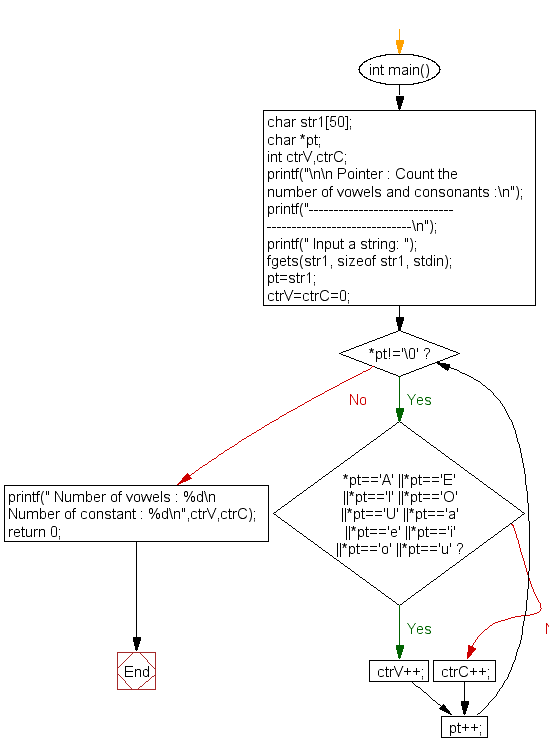 Previous: Write a program in C to find the factorial of a given number using pointers. Next: Write a program in C to sort an array using Pointer.